Shifting perceptions of God coloured and often fueled the civil wars of medieval Europe, as clerics and rulers drummed up religious fervour to rally supporters to their side. 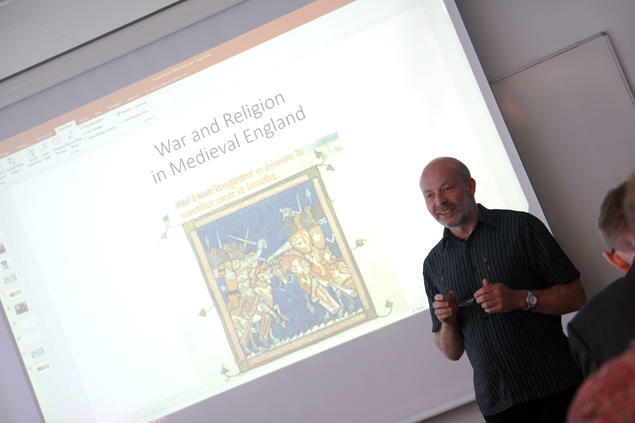 Historians last week explored examples of the impact of the Catholic Church on civil wars in the Middle Ages during a half-day seminar titled ‘War and Religion in the Middle Ages,’ sponsored by the Centre for Advanced Study (CAS) and held at the University of Oslo (UiO). Many of the scholars presenting at the seminar are participating in The Nordic ‘Civil Wars’ in the High Middle Ages in a Comparative Perspective, one of three research projects hosted at CAS this academic year. The project is exploring new methods of studying civil wars beyond the nationalist lens that scholars often view such conflicts through. 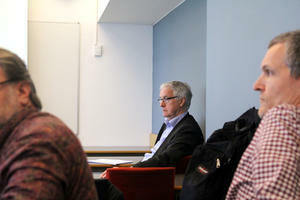 One of the project leaders, Hans Jacob Orning, professor of history at UiO, said religion could be one such new perspective. He said the civil war era in medieval Scandinavia has a religious component that scholars have not properly explored. 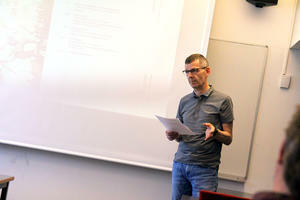 The co-leader of the project, Jón Viðar Sigurðsson, also professor of history at UiO, said that sources from 12th- and 13th-century Scandinavia also suggest a shift in how God is perceived in society. When Scandinavia was christianised in the 11th century, the Christian god was initially understood by many as sharing certain similarities with pagan gods -- in other words, that it was a god who had to be sought out, who could be won over with gifts and sacrifices, and who would treat friends well and enemies poorly. From the 13th century onward, however, as the Church gained in power, the notion of the almighty, omnipresent God that treated everyone according to the same rules became more common, Sigurðsson said. ‘Because of this, it was difficult for people -- and also for us -- to figure out what His will was,’ Sigurðsson said. That ambiguity, however, enabled political rivals to claim that certain actions and events were proof that God was on their side, said Gerd Althoff, senior professor of history at the University of Münster. Althoff pointed to William I, bishop of Utrecht, as one example. William supported King Henry IV after the German king in 1076 was excommunicated by Pope Gregory VII. Shortly thereafter, William became ill and died. The pope’s supporters pounced on the news as a sign that God had punished William for criticizing the Church. Gregory would get a taste of his own medicine only a few years later, however. The second time he excommunicated Henry (note: This was done five times by three different popes), Gregory threw his support behind a rival, Rudolf of Rheinfelden. The conflict between Henry and Rudolf culminated in the Battle on the Elster in 1080. While Henry’s forces were defeated, Rudolf himself suffered a mortal blow and died the next day. This time, Henry’s supports were quick to trumpet that the death of Rudolf meant that God was on Henry’s side.